It’s hump day, baby - and they call it that for a reason. 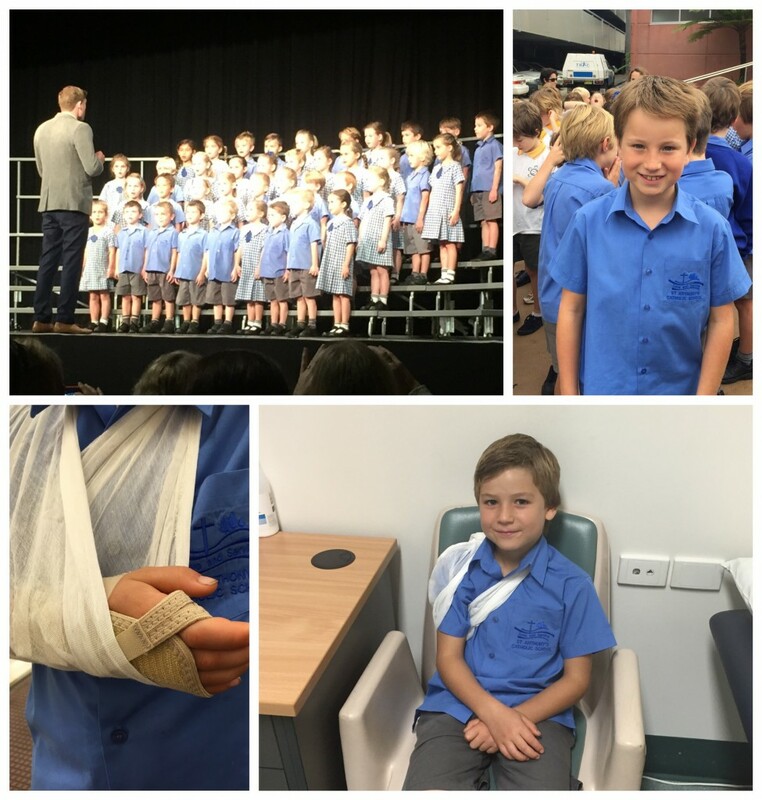 Yesterday was a whirlwind with the kids’ Eisteddfod and, boy, did they make us proud! However we had some events happen throughout the day which sent us to emergency with little Oscar's twisted wrist, thank goodness it wasn't that green stick in plaster last year! With the kids performing so well (Mietta won 1st place! So proud of her) and memorising some impressive poems, they all deserved a reward. We have a reward chart for great behaviour and achievements and, instead of giving them treats or toys, the ‘prizes’ are all about experiences – letting them choose a family experience, or something one-on-one. Because the kids agreed it was a team effort, it’s family time this weekend, with their choice of a movie, outdoor sport and dinner venue. Can’t wait! You know what I have planned today, though? Nothing. That’s right, I will be shutting off my iphone, staying away from the distraction of social media and making the most of my motherhood time by spending the rest of the day with Zali. Too many times, I try to fit my meetings and work commitments around this gorgeous chocolate-eyed babe, that she deserves some quality one-on-one time with Mama Dani today. That certainly got my blood pumping for a brilliant start to what I know will be another sensational day. To help me get through it all, I had a delicious banana macadamia smoothie for breakfast with the kids and am planning something just as delicious - grilled salmon with a raw salad – for dinner tonight. Blitz in your blender until silky and smooth, drink and enjoy! How about you? What will you do for YOU today?